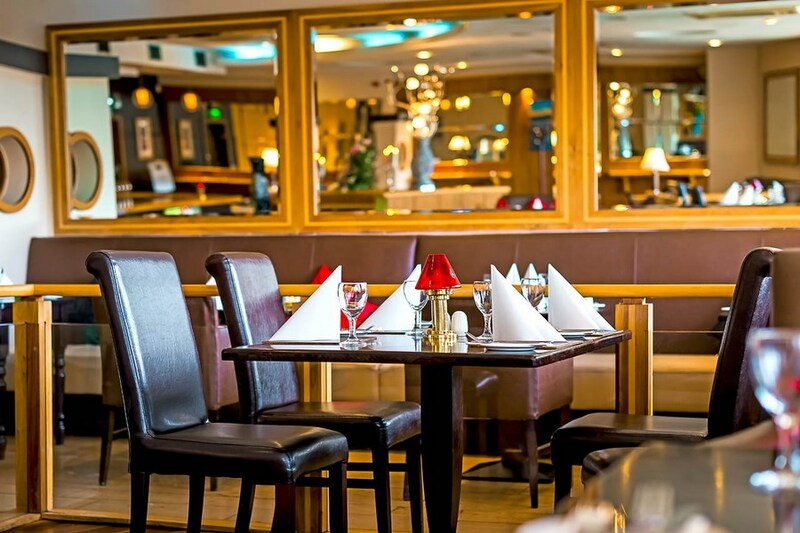 The Great National South Court Hotel is one of the best in Limerick for business or leisure and offers the perfect base to explore Limerick and the Shannon Region. 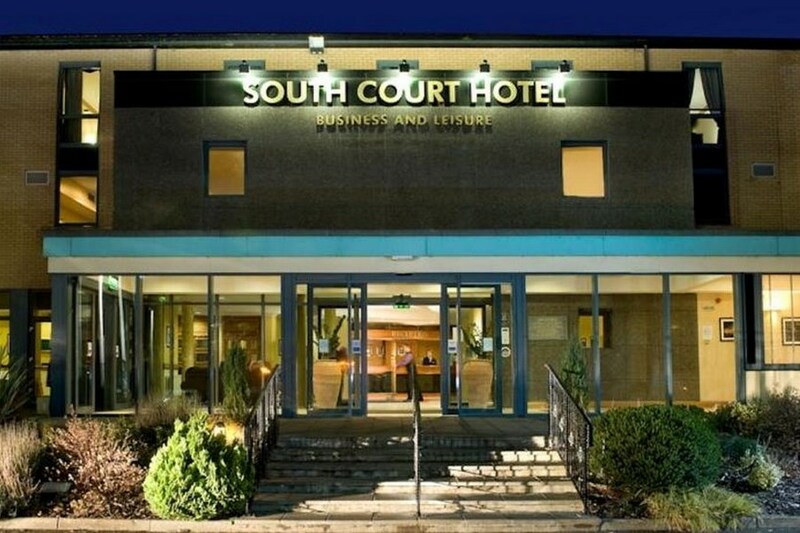 With an enviable location, close to the City Centre, minutes from the motorway network and approximately 20 minutes from Shannon Airport, the Great National South Court Hotel also offers the convenience of ample free parking onsite for 400+ vehicles, complimentary Hi-speed Wi-Fi throughout and guests can enjoy free access to our Fitness Suite. Family Rooms are also available. Family Rooms consist of 2 Double Beds. Please note that children up to the age of 12 stay free when using existing bedding in a Family Room Type when available. Camp beds can pe provided, supplement of EUR10 per night applies and a max of 1 camp bed per room is allowed. Please check directly with reception prior to booking for availability of camp beds. Double & Twin rooms are for a max of 2 people. A pre-authorization of your credit card for the full amount of your stay will be taken 48 hours prior to arrival. For debit cards, the card will be charged the full amount of your stay after 14:00 on day of arrival. If a card declines the hotel will contact the guest to ensure they are arriving and get alternative card details. A valid credit card will be required on check in for all bookings, including pre-paid bookings and reservations being settled by cash. Reception will pre-authorise your card upon arrival for incidentals and valid photo ID corresponding with card details is also required. really liked this hotel room was lovely and clean staff were friendly and food was good, really handy for limerick hospital and the crescent shopping centre. I stayed in a family room which was very spacious and comfortable. We are in the restaurant and the food was fabulous. Staff were very friendly. Hotel was really lovely. Ideal location and great facilities. The only thing to let it down was the breakfast area. The food was lovely but if you ordered anything that was not included on menu there was a long wait and was often cold. The staff were lovely but there was no structure which led to confusion and delays. Guests were greeted with a hello, you can sit where you want. This perhaps led to a lot of confusion and delays in getting served tea or coffee. Overall the stay was great but organisation of breakfast staff should be looked at. Very good value for the price charged. Exceptionally nice room. Receptionist very pleasant lady and check in was easy and quick. Room size very generous we booked double room and got 2 double beds in room. Bathroom had a bath. Shower had good water power. Breakfast was extremely tasty and of a very high standard and the choice was amazing. Like the receptionist the breakfast staff were so polite and nice. 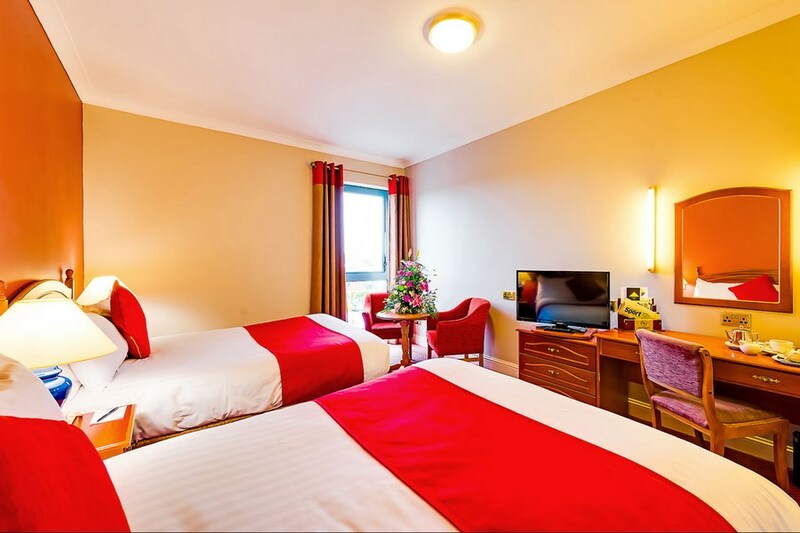 The hotel is ideally located for Limerick Hospital which is on the outskirts of Limerick and there is free parking which is a bonus as you have to pay for parking at most Limerick hotels. All in all I would highly recommend this hotel and I will certainly return. service was very slow. ordered creme bruleille for desert - came back 25 minutes later to tell me they did not have that desert- why did it take so long to inform me and does it normally take 25 minutes to serve a desert. overall disappointed as it was our 10th anniversary. my steak was overburnt for a medium steak. I had to cut the burnt pieces of and leave on my side plate. We stayed in Jan '17. We were upgraded for free to a suite it was lovely and spacious. We ate in the bar it was very tasty and good service too. Breakfast was good too plenty of choice and not too busy on Sunday morning at 10.30. By car it was two minutes to the Cresent shopping centre so very handy for shopping. Will definitely recommend and will stay again. We stayed in a family room here in December(2 adults 2 kids) and had loads of room. The room was very comfortable. The staff on reception were helpful and very polite. We had dinner in the Indian restaurant attached to the hotel and the food was delicious and very reasonably priced. The staff here were brilliant as well. The atmosphere in the hotel was great and decorated beautifully for Christmas. The following morning we went for breakfast and again the staff were lovely and there was an excellent section of fruit, cereal, pancakes, yoghurt, hot foods, bread and this was lovely also. Even though the dining room was quite busy there was lots of room for everyone and was very comfortable. The location is perfect for the city or the crescent shopping centre and there is a bank and supermarket outside the door of the hotel also. Really really enjoyed the stay and would definitely stay here again. Nice hotel with friendly staff! Our room was nice but the bathroom was very pokey! We are in the bar I had Indian which was beautiful chicken tikka masala, my husband had a steak which was average. Over all we had a pleasant stay and would recommend it! Friendly helpful staff. Spacious, clean room. Lovely breakfast, great choice. Would definitely recommend. The room was very big, clean and comfortable but that's where the good stuff ends. Bathroom was very basic and the narrowness of the bath meant that showering involved a battle with the shower curtain. The walls where paper thin and we could hear other guests coughing and doors banging all night. Staff where courteous but not friendly. The breakfast was horrible - tea pot streaked with rancid fat, food over-cooked, greasy and tasteless. The hotel was okay but not wonderful. The room was cold and I had to ring reception to have heat turned on on two occasions. The staff were polite but not friendly. We ate dinner in the hotel and the food was lovely. Breakfast was also lovely with lots of variety. I enjoyed my stay but was disappointed with the lack of service and lack of friendliness. Really enjoyed our stay. The service was friendly in all areas. Rooms were spacious and comfortable. Food was good and the waiter friendly, we ate in he bar which was very relaxed, exactly what we wanted. I would stay again for a relaxing no fuss chilled out stay. Overall, we were pleased with our stay and found the staff and accommodation to be good. On the downside, the dining room was a little cramped when busy which is not helped by the low ceiling height and our breakfast experience veered towards mediocre on our second morning. hotel room very nice and quiet.staff very friendly and helpfull, only problem was service very slow for evening meal but meal itself nice . breakfast was lovely too and seving till 11 am on sunday was a bonus!!. Lovely hotel. Staff very friendly. Family room was really spacious. Perfect for 1 night stay. Only downfall to this hotel is that it doesn't have a swimming pool. Very nice hotel, spacious rooms. Bar has a good atmosphere. New Indian restaurant combined with European dishes make dining a great experience. This hotel is adequate for a short stay. Not great for travelling with small children. Breakfast fair. Front desk service good. Restaurant service poor. Staff were really friendly. Room was clean and spacious. Breakfast was lovely. No faults! FRANK D Kerry. Pleasent stay, staff friendly and helpful, food good, quick service, rooms clean and spacious, Highly recommended. Business oriented hotel. We had a family room - 2 double beds, a bar fridge would have been handy - useful when kids need snacks / drinks. Everything else was very good. Restaurant / Boru bar / Cleanliness / WiFi etc Excellent value for money. Hotel was very convienient,the room was lovely & spacious, however the breakfast was very basic. Also, I had booked a late checkout only to be woken by reception to find out if we were staying another night as it was not noted in their records.